Here are a few more photos from this week’s shooting on Ghede Origins, the film I’ve been working on. 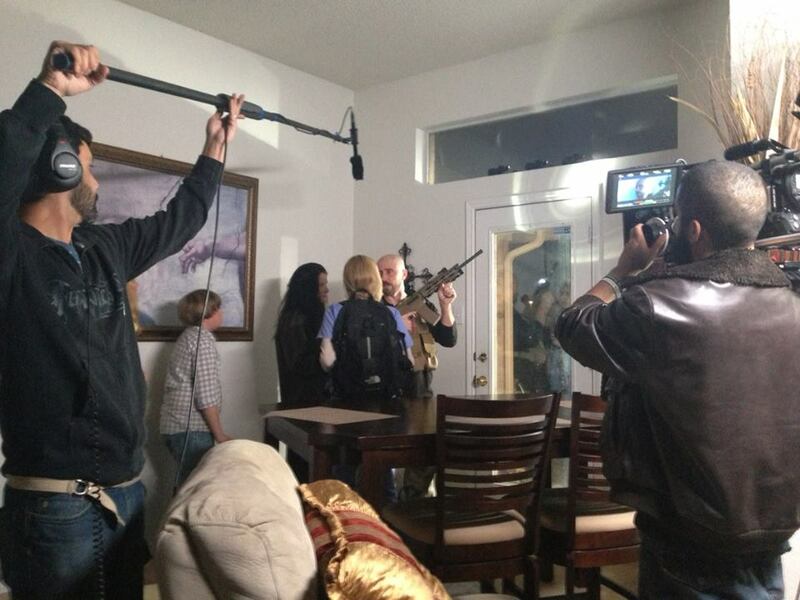 Adam Dietrich (with the assault rifle) is talking to my film mom and big sister (Cassie Shea Watson and Ashla Soter) about protection while I listen in. Allan Tsybulnik took this photo. This isn’t part of the movie — or at least I don’t think so. This is just a couple of hungry zombies goofing around with Allan Tysbulnik in between takes. This is what I see from the sidelines when I’m not in a scene. This photo includes Cassie Shea Watson, Jesus Garcia, David Bates, Adam Dietrich, and Juan Pablo Segundo. Super nice actors, every one. I am lucky to get to work with them and watch them at work. Allan Tsybulnik took this photo. 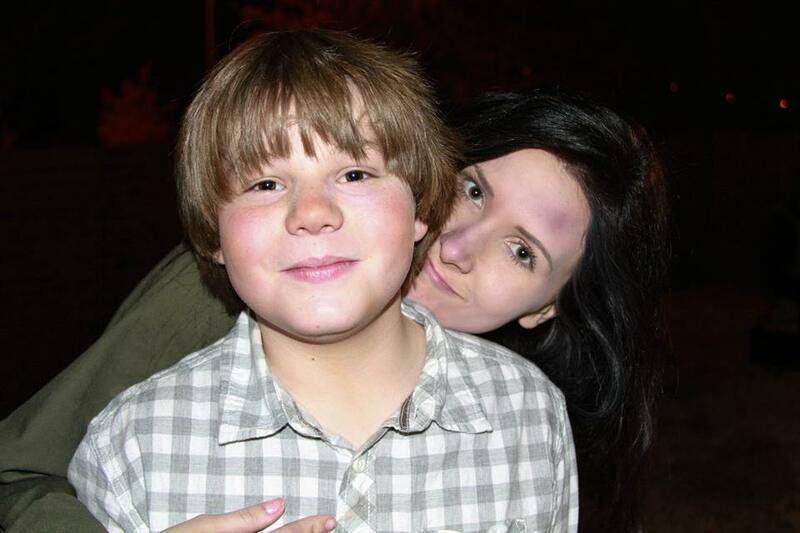 Ashla Soter plays my big sister, Juliet, and I play Brandon in the film Ghede Origins. At the beginning, Juliet doesn’t like her annoying little brother very much, but by the end, they are close. That’s good, becuase I love Ashla! Allan Tsybulnik took this photo. I think I look pretty wicked in this photo. 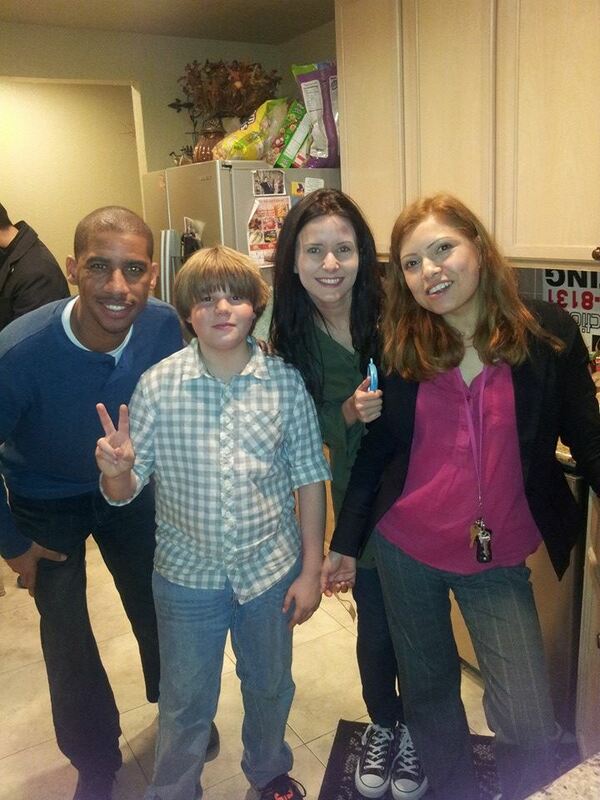 I’m with my on-screen mom Brittany (Cassie Shea Watson), and my two on-screen sisters Taylor Ernzen and Ashla Soter. 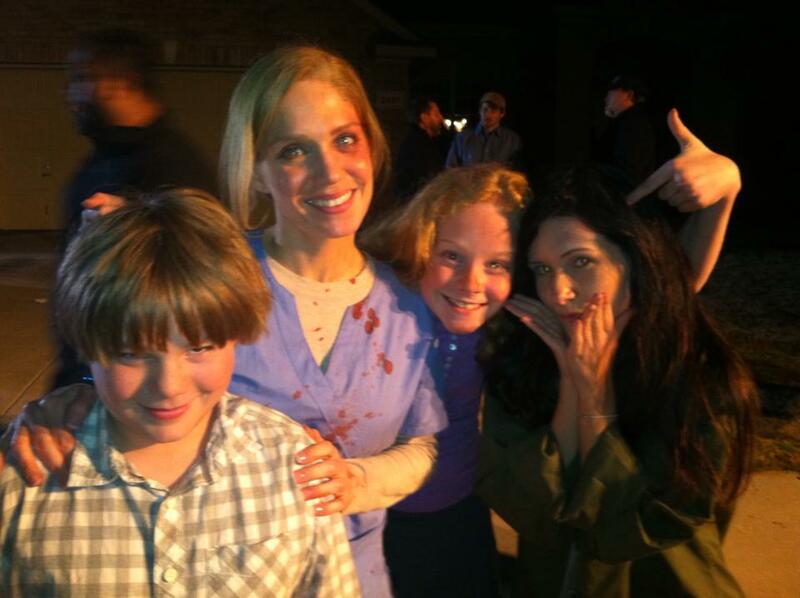 Our “mom” has been off fighting zombies while we hid in an attic — she looks a little worse for wear, doesn’t she? LaByron Thomas (on my left), me, Ashla Soter, and Iris Moctezuma were in the kitchen of Iris’s house (her dad is our director) during a dinner break when someone snapped this photo of us. Everyone on set is so nice! It’s a great group of actors and crew members to work with. Adam Dietrich is the art director for the movie Ghede Origins — and he’s also one of the lead characters, a mercenary captain named Sarge who saves “my” family. 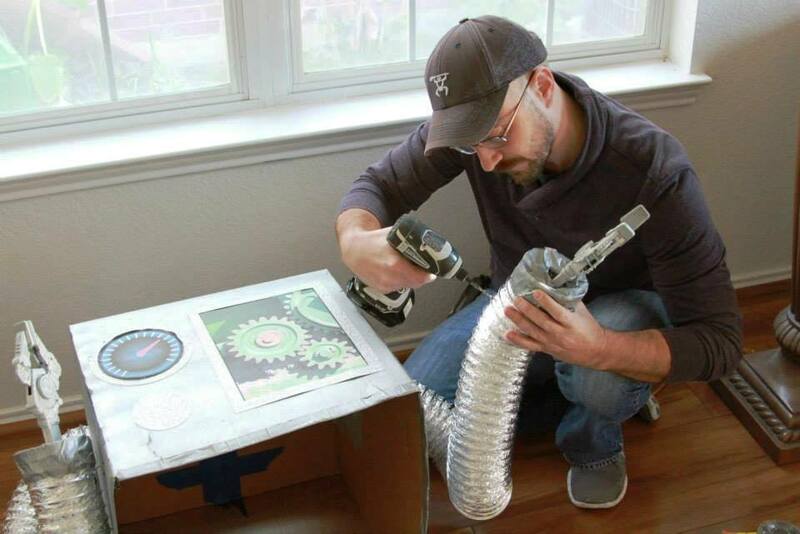 He had to fix the robot costume I wear in one of the scenes — it didn’t fit that well. (They had planned to use younger kids for the roles, not a pair of 12-year-olds like me and Taylor Ernzen, I think). 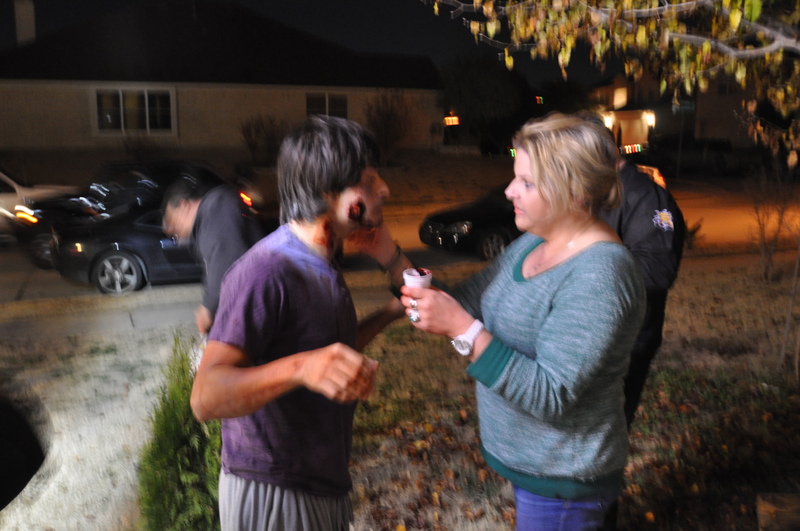 Kela Farmer works non-stop on set to make sure the zombies and victims stay covered in blood and gore. A lot of times, that means carrying around a paper cup filled with movie blood, and touching them up in between takes. Jenin Gonzales starts the movie as a normal person, who is one of the first to catch the virus — as the movie progresses, his make-up changes again and again as his disease progresses. He looks pretty scary in most of the scenes! But he’s a pretty nice guy. Awesome job!! You are a great a actor and friend. I hope we have a chance to work together in the future. Thanks for saying such nice things about me and my blog. I have had so much fun working on the movie with you. Everybody in the cast and crew is so great. I would love to work with you again anytime.